When you find that your photography needs more than your compact camera or bridge camera can offer, the next step is an entry-level DSLR. One of the most popular models since its release in 2013 has been the Canon EOS 100D, but that's just been surpassed with the announcement of the Canon EOS 200D - a new, next-generation DSLR that combines the familiarity of easy touchscreen controls with superb image quality. In the Canon EOS 100D we saw an 18.0 megapixel Hybrid CMOS AF II sensor, which for a 1.6x crop sensor camera is a fair amount. However, in the Canon EOS 200D we're now treated to a 24.2 megapixel next-generation CMOS sensor for even higher levels of detail in your images. Times have moved along a bit since the 2013 release of the EOS 100D. In 2017, the EOS 200D boasts Canon's latest DIGIC 7 processor - the same you'll find in professional level cameras. With this new processing power comes extra speed. The EOS 200D is now capable of shooting 5 frames per second of continuous shooting in JPEG, compared with 4fps in the EOS 100D. 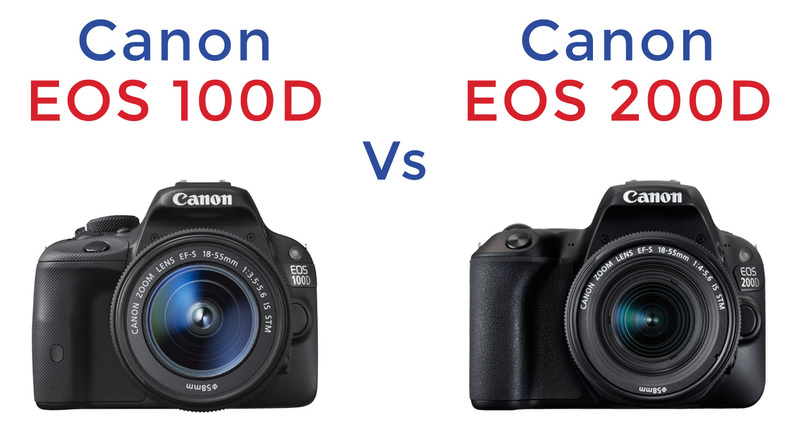 One of the biggest improvements between the Canon EOS 100D and the EOS 200D is how the latest camera handles focusing. The EOS 100D had 9 AF points with one cross-type in the centre, and while the Canon EOS 200D has the same 9 phase-detection AF points with one centre cross-type, you can now use Live View on the LCD touchscreen to focus, which gives you 49 AF contrast-detection points, which offers much wider and faster focusing. The most noticeable difference in the body of the Canon EOS 200D from its predecessor, the EOS 100D is the introduction of a 3.0 inch vari-angle LCD touchscreen. The EOS 200D is also about 45grams heavier than the 100D - a result of the extra features on the inside, but retains roughly the same dimensions, expanding by only a few millimetres on each side. The grip on the EOS 200D is improved over the EOS 100D, with a straighter vertical alignment and a new grip material - rather than the bobbly material on its predecessor, it now features Canon's professional patterned grip seen on higher end models. Although the Canon EOS 100D had Full HD video, it was only capable of 30p (30 frames per second), however the EOS 200D is now capable of shooting Full 1080p HD video at the full 60p. With a higher frame rate for movies this means you can record much smoother motion in video and even capture fast-paced action such as sports events smoothly. Further improvements come with the introduction of Canon's unique Dual Pixel CMOS AF system which provides smooth, high-performance focus tracking in movies and fast autofocus acquisition when shooting still s in Live View mode. This system can be used by simply tapping the vari-angle touchscreen to focus on an area and then tap another area to perform a professional looking push/pull focus effect. The new Canon EOS 200D is designed to actually teach you photography as you're shooting. To do this it features Canon's innovative 'Guide Mode'. This is a system that pops up with suggestions about exposure, aperture, shutter speed, focusing etc as you're shooting and shows you what works best for difference situations. 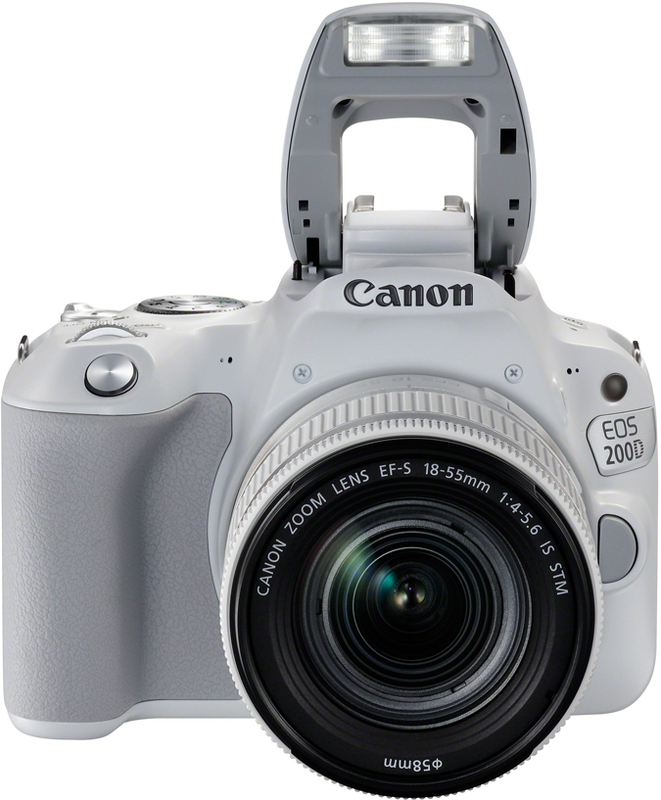 As we've come to expect with the latest digital cameras, the Canon EOS 200D has full wireless connectivity, which means you can maintain a constant Bluetooth Low Energy connection to your smartphone or tablet, remotely activate the camera's Wi-Fi to easily download images from the camera to your phone and then share them around the world in moments. This connectivity in the EOS 200D improves over the EOS 100D which didn't feature any wireless connections. Furthermore, the EOS 200D now features NFC which allows Android smart device users to seamlessly connect to it and transfer data between. 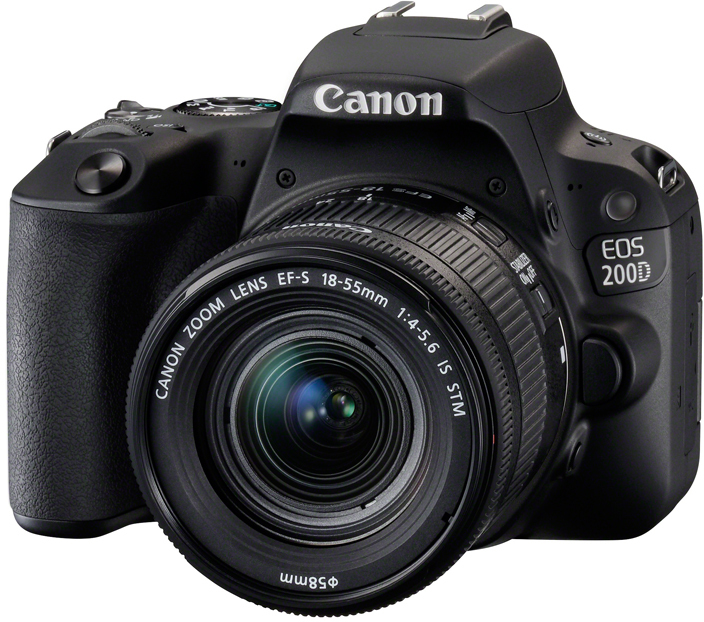 The Canon EOS 200D is available to order from Park Cameras today! The EOS 200D is available as a body only in black body, or as a black kit with a black 18-55mm lens, as a silver kit with a silver 18-55mm lens, or as a white kit with a white 18-55mm lens. 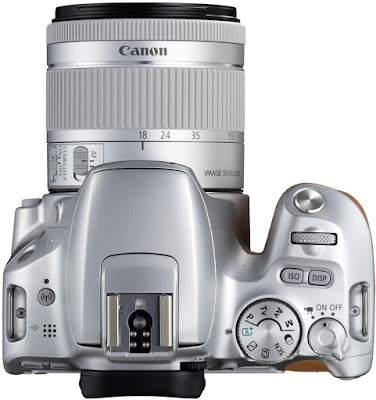 I have a Canon 100D camera and it is the best camera for me. For me the weight and dimensions are more important than small unimportant technical improvements - meaning not so important in daily use. I love the 100D for its small size and weight. Quality is amazing and with the Canon 16-35mm f4 (yes, full frame lens!) I get sharp images up to 30"x 20". I have a 100D which I bought in January 2015 for £375. I already had a 600D but I wanted something small and light to take photos at my niece’s wedding. It fitted the bill perfectly and I regard it as sophisticated compact. I tend to agree with Anonymous. I wouldn’t be tempted to change my 100D for a 200D, particularly when you consider the fairly hefty price tag for the latter of £579 - a ridiculous price for an entry level model. Has anyone else noticed how expensive camera bodies have suddenly become? I have a 100D along with my 'big' 5dII & 7d because of it's compact size. It always accompanies me with a EF-S 18-135mm STM in my car or on holidays. It's perfect for those occasions and I use it most of the time. I wouldn't upgrade it because of the new features. 18MP is more than enough and I don't need the touchscreen (never use it on my 100d except sometimes in review mode). All the wireless stuff is nice to have but nothing one absolutely needs, esp. if not 'sharing' everything on social media. For these gadgets I wouldn't pay that high price. I have 200d and is just a amazing. the weight and size difference don't intrefer at all. 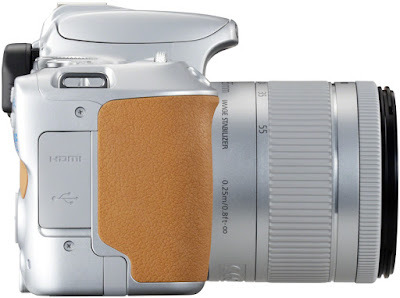 I have the SL1/100D and I like it, it's just a little slow. As I shoot a lot of models and sometimes moving kids. I think the upgrades in the SL2/200D are great, but the only thing stopping me from upgrading to it is the fact that you CANNOT put on a battery grip! The SL1/100D has a removable battery door, and the SL2/200D does NOT!!! That's kind of a deal breaker for me, As I like the little extra size it offers the camera plus double the power. Canon messed up with that one in my opinion.